In winter, driving can be a difficult and hazardous challenge. With unexpected twists and turns, snow and ice can be an added danger to the work and school time commute. According to the Federal Highway Administration, twenty-four percent of weather-related vehicle crashes occur on snowy, slushy or icy pavement and fifteen percent of crashes happen during snowfall or sleet. Staying safe this winter season can be as easy as making sure that you and your vehicle are ready for any winter weather obstacle. Are your tires and breaks ready for the journey? Having your vehicle in tip-top shape can make a huge difference when you are trying to make it from destination to destination in the snowy and icy weather. Making sure that the tires aren’t bald and that the brakes are road ready, can mean the difference between being road ready and being unprepared for taking on the slick roads. Tire experts recommend at least 6/32 of-an-inch tire tread at-all-times, so that they can grip the pavement effectively. In areas prone to heavy snowfall, it’s advisable to install winter tires specifically designed for cold-weather conditions. When driving on normal dry pavement following distance between you and another car should range from of three to four seconds but in winter conditions, this should be increased to eight to ten seconds. This increased margin of safety will provide the longer distance needed if you have to stop. It is also key to know your brakes. In icy and snowy situations, by having functioning brakes, you can breathe a bit easier knowing that they are not going to fail you. When braking in snowy conditions, be conscience of the road conditions and take it slow. Braking hard can lead to hydroplaning and the potential to spin off the road or cause an accident. Take your time on snowy roads. The biggest mistake most drivers make when driving in winter is underestimating road conditions and driving too fast. The faster you’re going, the less contact your tires make with the pavement, and the longer it takes you to stop. When snow, ice and sleet are in the forecast, it is best to slow down. According to the Federal Highway Administration and wintersaferoads.org, freeway speeds are reduced by three to thirteen percent in light snow and by five to forty percent in heavy snow. In snow and sleet, it is key to see and be seen by other drivers. In order to accomplish this, make sure that your headlights are turned on, test and replace worn windshield wiper blades, clean all snow and debris off your car before traveling and replace or refill your wiper fluid with winter wiper fluid designed for freezing temperatures. The most challenging part of winter travel is when tackling a hill. It is not recommended to stop midway up a hill if you can avoid it and it is not recommended to go head-first up a hill with everything your car’s got. When embarking up a hill, science and inertia has a huge impact on how your car travels. There’s a big difference in the amount of inertia it takes to start moving from a full stop versus how much it takes to get moving while still rolling. Take it slow when going up and down hills, don’t rush and be aware of your surroundings at all times. When winter driving conditions are exceptionally bad, the best advice is to simply stay home whenever possible until the roads have been treated with salt and the snow plowed off the roads. If you do not have to leave your home, stay inside and enjoy the snow. Not everyone is equipped for winter weather travel and dangers can arise at any point of the journey if you or other drivers are not prepared for the snowy journey. 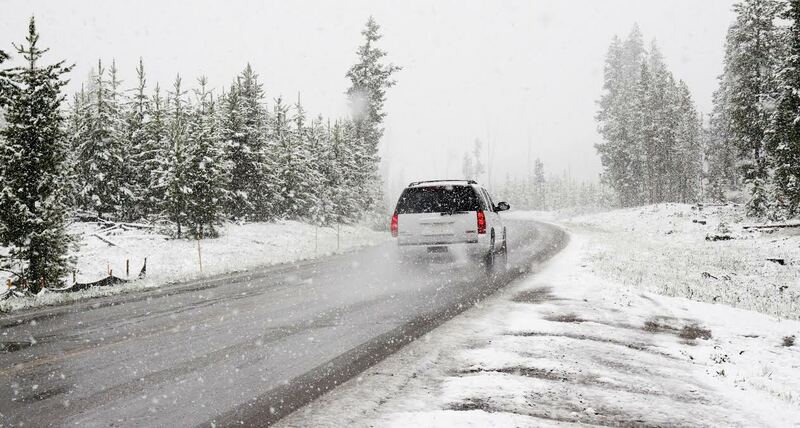 When preparing for winter driving, make sure your car is ready for whatever the roads throws at it. From tires to breaks to heat coils, driving in snow can be a challenge. But when your car is ready, you have a better chance at handling the icy conditions. But even when taking precautions, accidents can happen. When your vehicle gets damaged, know who you can trust with your car. Bumpers Etc. is an auto body shop that can work miracles on your car to repair dents from fender benders, paint jobs from the corrosive salt on the roads and restore your once perfect car. Bumpers Etc. experienced collision repair technicians have the training, equipment and know-how to restore your vehicle like new again promptly and reliably. We know that life gets busy, so for your convenience, we have provided an easier way for you to receive a free preliminary estimate. A final appraisal will then be done in person when you arrive with your vehicle to make sure your estimate meets our strict standards for competitive pricing and accuracy. Click here to set up your free appraisal at Bumpers Etc..